Bracey® is all brains! Even in her teething tot years, her parents knew she was destined to be part of a brighter bunch. Bracey® was a molar genius and well beyond her primary years. She zoomed through Molar Towne® Elementary and graduated from Molar Towne® High in no time at all. Next step was Molar University, where she was a molar mathlete member, and found her true passion for molar mechanics. She invented all sorts of useful molar machines, but robotics was what she really enjoyed most. She has built an army of robots, and loves to compete with them at the annual molarbot battles. Bracey® got her quirky name thanks to her face-full of braces. She's a bashful but brainy girl with round-rim glasses and freckled cheeks. 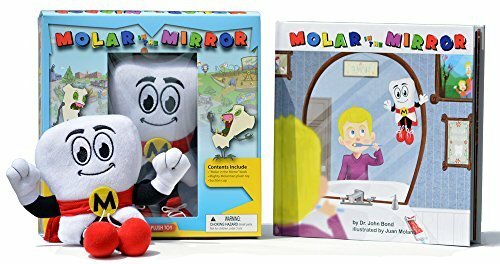 When she isn't contending at the molarbot battles, she can be found reading her favorite book, "Molar in the Mirror"® at Molar Towne® Library or flipping through comic books at Mighty MolarMan® Comics.